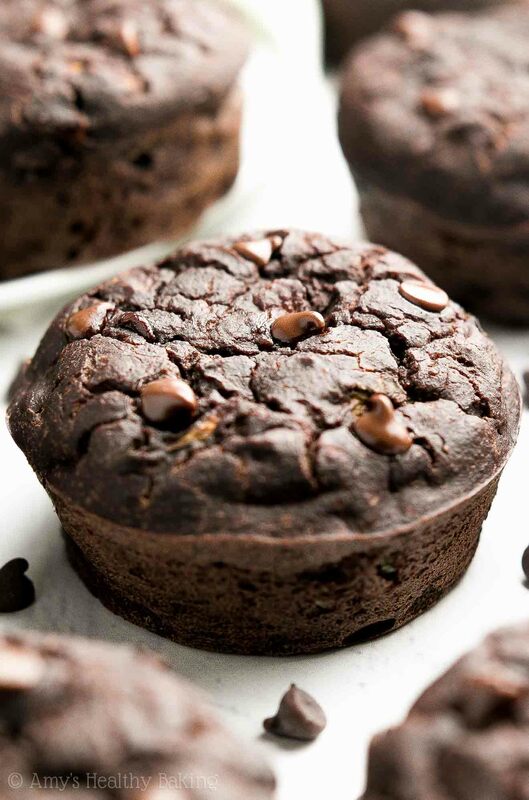 An easy recipe for deliciously rich chocolate muffins full of zucchini, cozy spices & chocolate chips! They practically taste like brownies—for just 100 calories! Last weekend, one of my best friends from high school drove into town for a birthday celebration. On Sunday, the morning after the party, she stopped by my house for a short visit before rejoining her other circle of friends at a local brewery downtown. We spent part of our time catching up while sitting on my back patio in comfy wicker chairs (a belated thanks for that birthday present, Mom and Dad!). As we talked, I asked about her garden since she had been sharing plenty of pictures of her produce on Instagram lately… And because I needed ideas for my own patio space! She quickly listed off her plants, including tomatoes, bell peppers, cucumbers, basil, chard… And a few winter things she planned to plant, like Brussels sprouts and kale and beets. 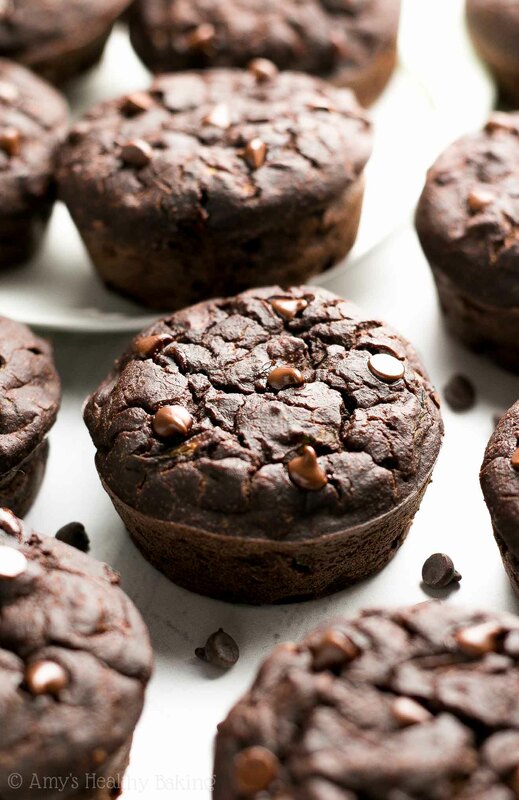 And zucchini, so I could bake treats like these Healthy Double Chocolate Zucchini Muffins! They literally taste like a cross between zucchini bread, muffins, and fudgy brownies. They’re full of rich chocolate flavor, cozy spices (trust me—chocolate + spices is the best thing in the whole world! ), and lots of sneaky zucchini… But only 100 calories! 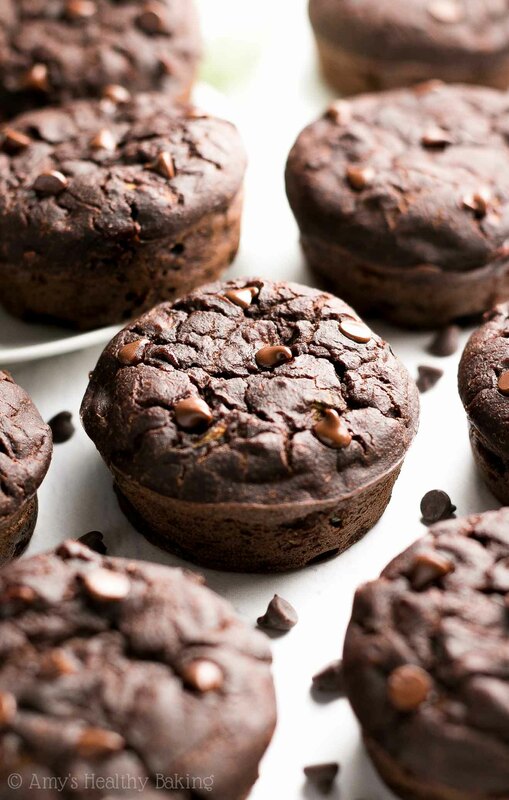 To make these healthy muffins, you’ll start with white whole wheat flour (like this) and unsweetened cocoa powder (like this). White whole wheat flour has the same health benefits as regular whole wheat flour, but a lighter taste and texture, which makes it perfect for these tender muffins. And with how much cocoa powder you’re adding, there’s no need for Dutched or special dark—regular ol’ unsweetened works just fine! It’s extremely important to measure the flour and cocoa powder correctly, using this method or a kitchen scale. Too much of either will dry out your muffins and make them taste bitter, rather than deliciously rich and chocolaty. This is the kitchen scale that I own, and it has been the best $20 I’ve ever spent! I use it to make every recipe that I share with you because it ensures my treats turn out with the perfect taste and texture every time. To lower the calorie count, you’ll just use 1 tablespoon of butter or coconut oil. Yes—that’s all these muffins need! The rest of their tender texture comes from Greek yogurt, one of my favorite ingredients in healthier baking. It adds the same moisture to the batter for a fraction of the calories, and it gives your muffins a protein boost, too! Still with me? Just a couple more important ingredients! Starting with freshly grated zucchini that has been patted dry with paper towels to remove as much moisture as possible. Otherwise, that moisture would get released while the muffins bake, and it would add too much water to the muffins and cause them to collapse while cooling. Then a sprinkling of cinnamon and nutmeg, two of my favorite spices in zucchini bread… And a showering of mini chocolate chips! These are my current obsession because they taste so rich and melt really well! How amazing do those look?? As a chocoholic… I’m always a big fan of brownie-like breakfasts! ? And when you make your own, remember to snap a picture and share it on Instagram using #amyshealthybaking and tagging @amyshealthybaking IN the photo itself! (That guarantees I’ll see your picture! ?) I’d love to see your muffins and feature them in my Sunday Spotlight series! 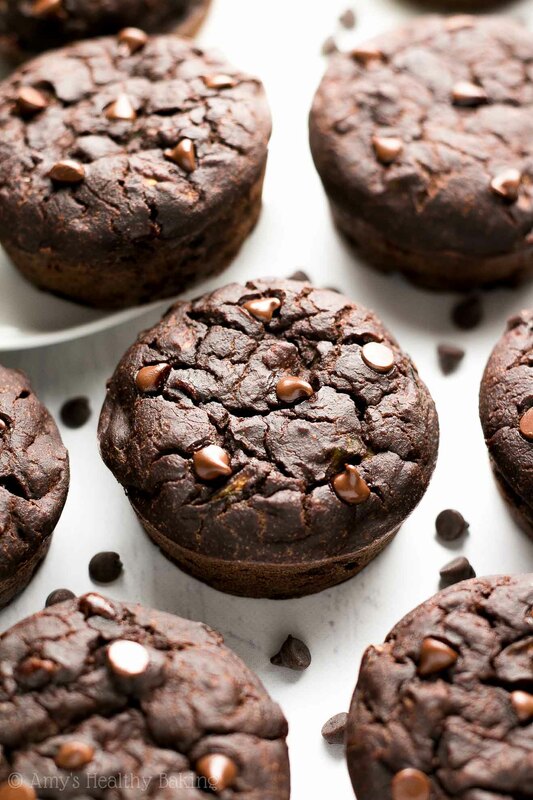 These tender muffins are full of zucchini, cozy spices, and rich dark chocolate flavors (similar to 70% dark chocolate). 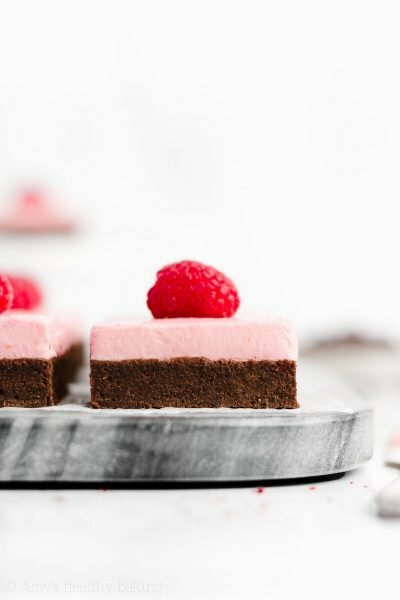 They’re a chocoholic’s dream come true—and they practically taste like fudgy brownies for breakfast! They’ll keep for at least one week if stored in an airtight container in the refrigerator, and they freeze really well, too! In a medium bowl, whisk together the flour, cocoa powder, baking powder, cinnamon, nutmeg, and salt. In a separate bowl, whisk together the coconut oil, egg whites, vanilla extract, and vanilla crème stevia. Stir in the Greek yogurt, mixing until no large lumps remain. Stir in 2 tablespoons of milk. Alternate between adding the flour mixture and remaining milk, beginning and ending with the flour mixture, and stirring just until incorporated. (For best results, add the flour mixture in 4 equal parts.) 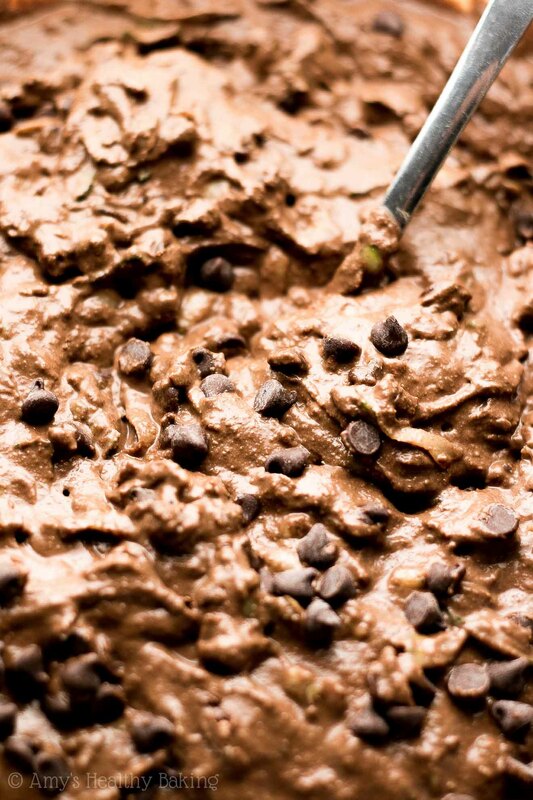 Gently fold in the zucchini and 3 tablespoons of mini chocolate chips. 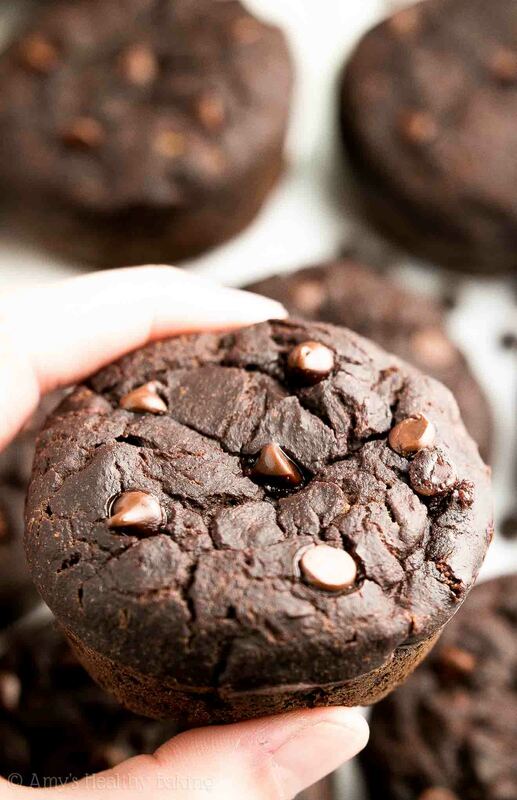 Divide the batter between the prepared muffin cups, and gently press the remaining chocolate chips into the tops. Bake at 350°F for 22-25 minutes or until the tops are firm to the touch. Cool in the muffin cups for 10 minutes before carefully transferring to a wire rack. Notes: For the gluten-free flour, I recommend the following: ½ cup (60g) millet flour, ½ cup (60g) tapioca flour, ¼ cup (30g) brown rice flour, and 1 teaspoon xanthan gum. Most store-bought blends will work as well, if measured like this. I highly recommend using the vanilla crème stevia. (You’ll use it in all of these recipes of mine, too!) 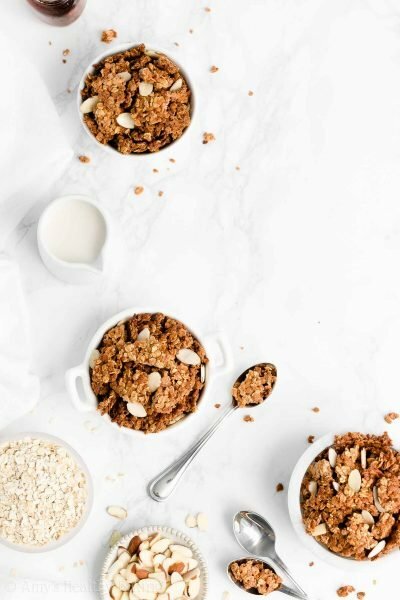 If you prefer, ½ cup (120mL) pure maple syrup, honey, or agave may be substituted for the vanilla crème stevia, and the milk should be reduced to 6 tablespoons to compensated for the added liquid. Measure the zucchini before patting it dry. You must pat it dry to remove the excess moisture because that excess moisture will cause the muffins to collapse while cooling. To pat the zucchini dry, lay a double-thick layer of paper towels onto a cutting board, and arrange the freshly shredded zucchini on top. Place another double-thick layer of paper towels on the zucchini, and gently press down until the top towel turns wet. I really appreciate your interest in my recipe Jan! I go over what vanilla creme stevia is and where to find it in the text of my blog post above the recipe. 🙂 Non-dairy yogurt can be used in place of the Greek yogurt. I can’t wait to hear what you think of these muffins! How much dry stevia should I use instead? I use SweetLeaf Stevia Sweetener powder from a 4 ounce container. It’s my pleasure, Kimberly! You’ll need 1 ½ tablespoons of that powdered stevia. I recommend whisking it into the flour mixture so it doesn’t clump! 🙂 I can’t wait to hear how your muffins turn out! This trick worked perfectly ! I whisked the dry stevia into the flour…no lumps. YUM, these look SOO good! LOVED visiting with you!! So glad it worked out!! <3 I will definitely be planting zucchini in my garden next year, too! Aww, thanks so much sweet pea!! Hopefully I’ll have a small garden up and running by next summer too! 😉 I bet your zucchini will taste absolutely amazing!! I’m always on the hunt for good zucchini recipes – these look perfect! And your pictures are seriously beautiful – love those crinkled tops! Thanks Melissa! 🙂 I’d love to hear what you think if you try these muffins! I was wondering if you could oat flour instead of whole wheat? I don’t recommend it Goatu! It’ll make these muffins overly dense. 🙂 I’d love to hear what you think if you try them! I am trying to create a 5-6 protein muffin options for customers. 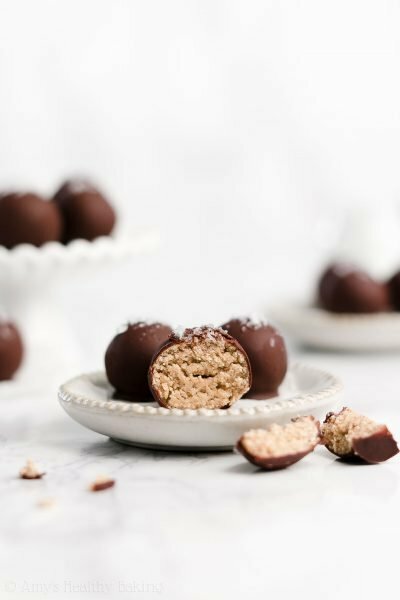 What tweaks would I need to use to this recipe in order to add chocolate whey protein powder to it? 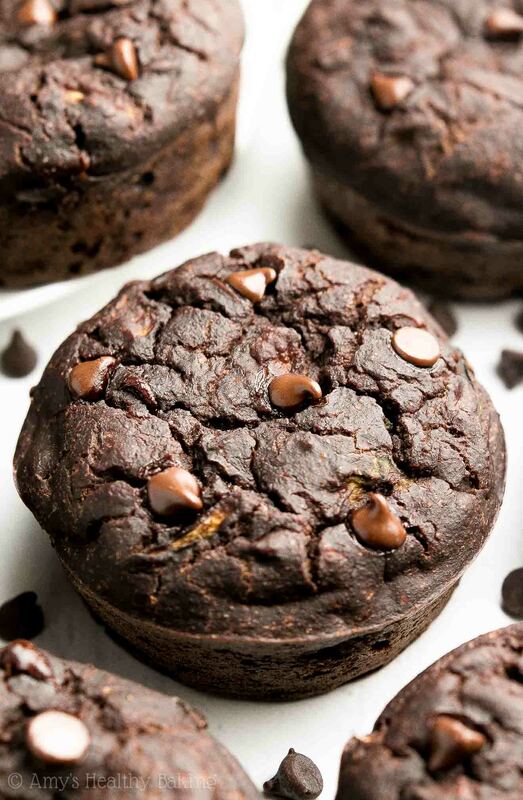 Are there anymore recipes you have that are great to make Protein Muffins? 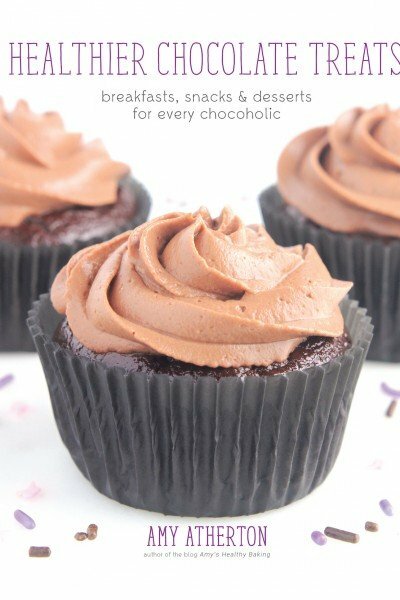 These are incredibly sensational; much preferred over regular, super fatty albeit delicious chocolate muffins. I didn’t feel leaden or guilty after eating these. I posted an Instagram photo and inserted the text you wanted, but it’s the first Instagram photo I’ve ever attempted, so who knows if I did everything right. A couple of personal preference substitutions I made: whole wheat pastry flour (not white whole wheat), your recommended maple syrup for the Stevia, carob powder for the cocoa (1:1), and carob chips for the chocolate chips. I was worried about changing the texture and moistness of the original recipe, but this didn’t happen. These came out perfectly. 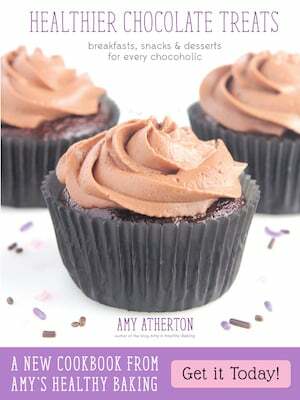 These, Amy, are genius! You were right. The account was marked Personal, which I corrected. Let me know if somehow i didn’t include my picture correctly, and I’ll try again. I saw your picture!! Your muffins look beautiful! Thank you SO much for turning your profile to public so I could see your picture. That means a lot to me Linda! 🙂 I’m so excited to see what other recipes of mine that you try! 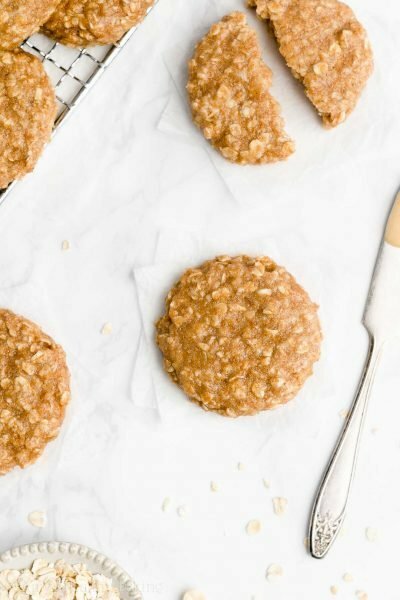 I made these yesterday with a combination of buckwheat (3/4 cup) and Rice flour (1/4 cup) and oats (1/4 cup), and they turned out great! I didn’t use any xanthan gum or a binder besides the one egg I used. Recommended for a gluten free option! I’m always happy to help Laura! 🙂 Yes, you’ll still need to use the stevia, even with sweetened Greek yogurt. What’s the exact brand and product that you’d like to substitute in place of the vanilla stevia that I used? Each brand (and product) generally tends to have a slightly different sweetness level! If it’s the same brand, then the plain version is a 1-to-1 substitute for the vanilla version. If it’s a different brand, then let me know the brand and product name, and we’ll figure out how much you’ll need to use! Thanks for your reply. The brand of stevia i have is hermesetas. Do i need to add some vanilla with it too? It’s my pleasure Laura! The Hermesetas stevia that I found is in tablet form, which is a form I don’t actually use in my baking. (Liquid or granulate is much easier for baking and measuring!) Is that true for the product you have?